Back in June, a report surfaced that Lionsgate's Power Rangers will feature one of the iconic villains from the original Mighty Morphin' Power Rangers TV series, Rita Repulsa. While that report was never confirmed by the studio, it was backed up by another report from October, which claimed that this project was not, in fact, a reboot, but follows the continuity from the latest TV series, Power Rangers: Dino Charge. Today, The Hollywood Reporter reveals that Elizabeth Banks has signed on to play Rita Repulsa in this new adventure. The actress joins Naomi Scott (Pink Ranger), Dacre Montgomery (Red Ranger), Ludi Lin (Black Ranger), RJ Cyler (Blue Ranger) and Becky G. (Yellow Ranger). The site describes Rita Repulsa as an alien who "has designs" on planet Earth. Our report from October claimed that Scorpina will actually be the primary villain, one of Rita Repulsa's underlings. That report was never confirmed though, so we'll have to see if Scorpina is cast in the project. In the original series, both Rita Repulsa and Lord Zedd were pacified by Zordon's energy wave, known as the Z-Wave, but Scorpia wasn't neutralized, promising that she would one day return. This report claims that the opening scene will feature Scorpina and her army doing battle with the Power Rangers and their robot Megazords. Since this battle will take place several years before the new story picks up, it is believed that these rangers will be the current Power Rangers Dino Charge team, who are tasked with protecting the Morphin Grid, an energy field that provides every generation of Rangers with their powers, and also allows them to access past, present and future Rangers' memories to come up with battle strategies. The Morphin Grid cannot sustain more than two Rangers for very long, which will likely figure into the story somehow. We reported last year that production was scheduled to start in January 2016, but Lionsgate recently moved the release date up from January 17, 2017 to March 24, 2017, so it's likely that the production schedule was shifted as well. Dean Israelite (Project Almanac) is directing Power Rangers from a script by Zack Stentz and Ashley Miller. It isn't known how many other characters need to be cast before production begins. Elizabeth Banks most recently starred in Love & Mercy, Magic Mike XXL and The Hunger Games: Mockingjay Part 2. She also starred in and made her directorial debut on the summer sequel Pitch Perfect 2, and she will be back to direct Pitch Perfect 3 as well, which is set for a summer 2017 release. 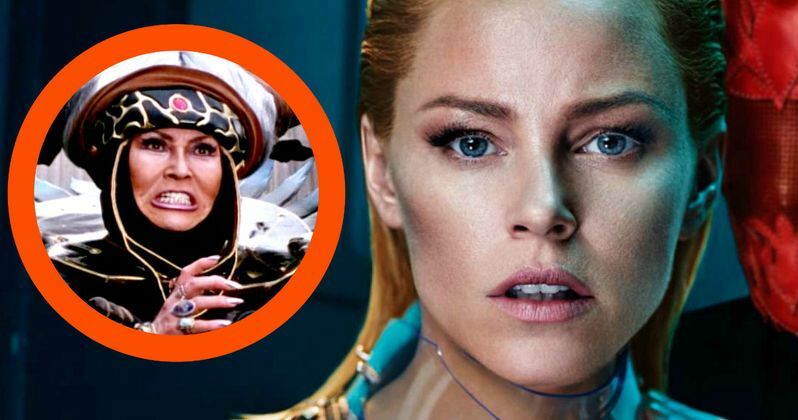 What do you think about Elizabeth Banks playing Rita Repulsa?